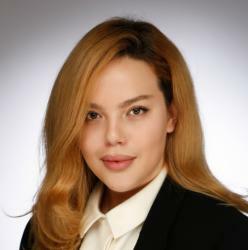 Daria is a Master in Management student who is taking the Strategy & Organisation concentration. Let’s take a moment to think about what one of the vital elements of a successful enterprise is? What makes a company outstanding and unique from its competitors? What is in the very heart of any company’s business implementation? The answer comes to your mind immediately – strategy! It lies not only in the core of any operations within a company, but it is also a part of external communication with partners and clients. Therefore, it is essential to understand the various aspects and mechanisms for creating a perfect strategy that gives a company the competitive advantage on a global arena. In the modern world with ever-changing market conditions, it is essential to react quickly to respective actions and ensure a company’s stable position, therefore, the Strategy & Organsation Concentration is offered as a part of the Master in Management. Organisational Design provides great insights into an organization’s processes of coordination and cooperation as well as the various designs and changes in teams, departments, business units, and even an entire enterprise, allowing students to analyse how organisational design aligns with strategy as well as to learn the alternative methods of creating various organisational structures, compensation schemes and to describe the key trade-offs in organisational design. Moreover, this module is a great addition to one of the core modules in the programme – Strategic Management, which makes it easier for the students to understand the concepts applied in the module. Operations Strategy connects strategic decisions, the integration of new technologies, business models and environmental considerations and managing the implementation of new strategic initiatives. It is important for students to be fully competent in understanding the interactions between a firm’s operation strategy and other areas of the company, and this module provides students with the skills to do exactly that. Strategic Management control provides students with the tools to evaluate company strategies and long-term business revenue success. With practitioner guest lectures and a simulation game integrated as part of the lectures, students are best prepared for a career in consulting, financial advisory and executive positions where the analyses of firms in financial distress and the development of solutions to improve probability are essential. Cases in Strategy & Organisation is a highly-interactive module, based heavily on the discussion of case studies with specific strategic and/or organisational challenges and deep analysis of the revealed problems followed by the provision of recommendations to improve organisational performance. In this module, students have the opportunity to improve their critical-thinking skills by debating and participating in class discussions. After completing this module, cracking the case will not be a challenge for you at all! The Master in Management Strategy & Organisation concentration will prepare you for the work in consulting industry, where the appropriate application of the extensive theoretical knowledge of methods & concepts regarding strategy and its development is essential for solving everyday challenges in the work place.